We recognize that needs can vary greatly from one community to another. That’s why we’ve created a program that allows each of our restaurants to help raise funds for organizations in their local community. With our Eat Wings, Raise Funds. program, when you dine, we donate. Since its inception, Buffalo Wild Wings restaurants have donated more than $1 million to local organizations that assist youth and families in need, military families and disaster relief efforts. Click here for a PDF of the ticket. For every person who shows this ticket at BWW on January 29th, a promotion of their bill will be donated to RISPA. Please feel free to distribute the ticket far and wide, both within and outside of the School Psych circle. The RISPA event is also a great opportunity for current students to come and meet practicing school psychologists and ask questions about the field. 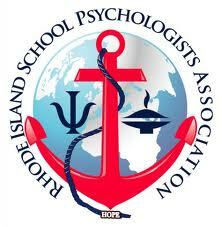 Additionally, RISPA members would love the opportunity to share, with School Pyschs throughout the state, new information around our advocacy for Medicaid reimbursement for services provided in schools by school psychologists.